LENSYS Consultoria, S.A. de C.V.
Part of the Lensys Group, Lensys Training Center S.A de C.V.'s (Lensys) primary goal is training and consulting in connection with design, development and evaluation of models, principles, systems and tools for implementing enterprise excellence. With more than 30 years in the automotive industry and 10 years of different consulting experiences focused on operational excellence (lean enterprise) for its clients, Lensys has been a key factor in the development of several companies. One way Lensys accomplishes its mission is through promoting understanding and sharing successful methodologies of manufacturing and business through its services and events. 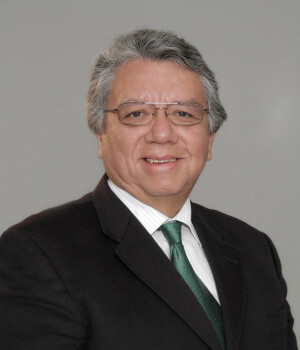 Francisco Ramirez is the founder and executive director of Lensys, a lean consulting firm that dedicates its efforts to providing companies with the tools that will bring higher competitiveness. Mr. Ramirez gained a wealth of knowledge to help companies succeed through his 30 years of experience at TREMEC, a Mexican auto parts company and Shingo Prize recipient. As a lean trainer and coach of operational excellence, Mr. Ramirez has worked with more than 80 Mexican companies and facilitated more than 6,000 people. He is also the author of A3 y Punto.